Multimedia localization capabilities enable us to provide turnkey solutions for projects containing video and audio content for a comprehensive range of languages and media types. No matter how technical or difficult your multimedia project may be, ECI delivers complete and professional multilingual audio and video production services in the localization industry. In this article, two cases will be shared, exemplifying specific challenges and the approaches we provide as benchmarks for future video localization. In most cases, videos designed for marketing purposes have dazzling after-effects to wow the audience. To better facilitate understanding, screen texts consisting of key words are added along with a dynamic flash to achieve the best result. However, due to the larger size of AE (after-effect) files, they are usually not provided because of transfer issues among other reasons. There are many frames that contain screen texts in the screen shot of the video. For videos containing animated screen texts, we have developed a workflow. The core of this solution is to create new animations in target languages and place them near the source English animation. Step 1: Extract screen texts and translate them. Translation is always fundamental. Accurate extraction of screen texts and translation is key to reducing lead time. Step 2: Create a similar Chinese Animation. Once localized, screen texts will be processed in Adobe After Effects to produce after-effects that resemble the English animation. The Font and color of the localized version should also capture the features of the source animation. Step 3: QA. Once all elements are integrated into the original video, a QA step is an essential before we deliver the final product to the client for market deployment. As you can see from the localized version, translated Chinese texts go side by side with English texts. Additionally, Font and color are in perfect tune with the source English. With this approach, lead time is greatly reduced which offers advantages for international deployment of multiple versions of the same source video. What’s more, improved efficiency means lower cost; in return, this helps our clients to make their product or service more competitive from a cost perspective. A more complex multimedia request is dubbing — also known as mixing or re-recording. In the localization industry, the term “dubbing” most commonly refers to replacing the voices of the actors shown on screen with those of different performers speaking another language. Today, dubbing enables audiovisual materials to be presented to a mass audience in countries where viewers do not speak the same language. Now, take this case as an example: a video that requires full localization from English into Greek. This video is embedded in an e-learning course that we localized. During transcription, role information and an accurate time code will be added. When casting talents, we take into consideration gender, age, and ethnic group (if needed) based on the given scenario. Time codes serve the purpose of defining the duration of each audio segment. Word limit information helps to have recorded audio files fit into the timeframe. Typically, the length of translated Greek text is about 1.2 times that of original English text. Therefore, linguists need to be brief In Greek translation so that translated script can be narrated in a fixed time duration. Also, voiceover talents will adjust the translation prior to dubbing to cope with the tones and pauses in original audio files. To carry out this step with precision, we gather all the characters in a scene in the same room. And, with a director to supervise the whole process, we can get natural and seamless dialogues to replace the original English soundtrack. Final audios delivered by the studio must meet our specific requirements. Once the audio files are correctly recorded, we can integrate all elements with the help of linguist. Then, the engineer generates the final videos that conform to client’s request and parameters of resolution and format. Afterwards, we are ready with the delivery. Our careful consideration of translation accuracy, length limit, cultural adaptation (particularly person names), emotion and tone of actors, and lip-synchronization enables us to produce a perfectly localized video. 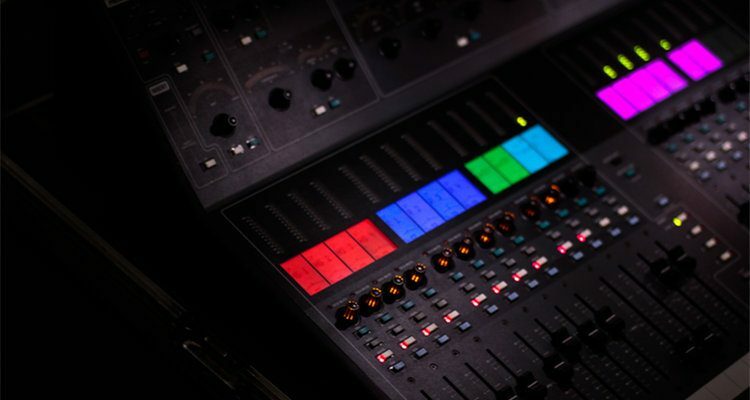 In collaboration with different teams: transcription, linguist, and studio and multimedia engineers, ECI provides you with turnkey solutions for your multimedia requests. ECI’s Localization Process Automation (LPA) solution is a rule-based automation process solution which connects the client’s enterprise CMS and the vendor TMS, to automate translation workflows and significantly reduce tedious manual work. Interested in LPA?